DEDICATED volunteers who give selfless service to the community have been honoured at the Royal Leamington Rotary Club’s Community Spirit Awards. This year’s awards were widened to include nominations from the pupils of The Kingsley School, where the awards ceremony was also hosted. * Chloe Walsh, a pupil at Kingsley who regularly prepares fresh sandwiches for the homeless of Leamington. Chloe was moved to act when she realised that the number of homeless people in the town was increasing. * Jonathan Penny was nominated by his daughter for his work with Stratford Sharks Swimming Club, allowing the club to obtain Charitable Incorporated Organisation Status. The club is now viewed by Swim England as a model club, with Mr Penny acting as a trustee of the charity. * Tessa Morton has been running drama and social skills sessions for children with autism for the last ten years, helping young people develop confidence, build friendships and attend a club with no judgement and total acceptance. 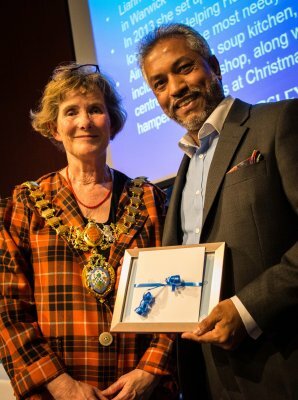 * Ala Uddin, owner of Aladdin’s Restaurant in Stratford-upon-Avon, received an award for his pay-it-forward work in the community. 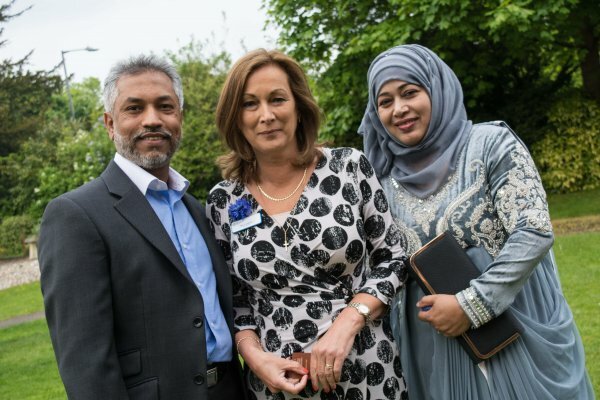 Mr Uddin held an event for 450 people at a marquee in his restaurant, helping to raise £15,000 for the Stratford Cancer and Eye Hospital appeal and Alveston Primary School. * Lianne Kirkman was nominated for her work setting up and running the Helping Hands charity, which provides food and supplies for those in need. The charity runs a shop in Leamington, which also offers a drop-in centre for help and advice. * Cheryll Rawbone was given 30 years of work to local charity, The Friendship Project, which helps to develop friendships between members of the charity and disadvantaged children. Now chairman, Mrs Rawbone has been responsible for the charity’s success in enlarging its area of operations and helping develop its fundraising efforts. * Sidney Syson was nominated for her extensive involvement with community initiatives, as participant in the Night Shelter project, the Street Pastors, a Trustee Director of Leamingon Shop Mobility, member of Amnesty International and her extensive work with St Mark’s Church in Milverton. * Debbie White has been at the forefront of raising funds for charity Fight for Sight, against a background of her own sight and hearing disabilities. Over the past 22 years Mrs White has helped to raise over £335,000 for the charity. 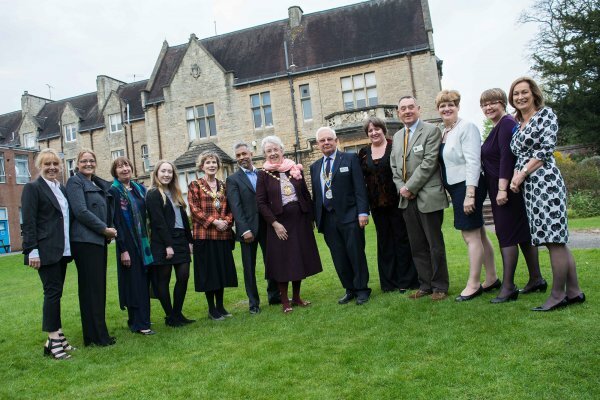 Warwick District Council chair Jane Knight spoke of the immense contribution that volunteers make to the success and wellbeing of the area, and town mayor Ann Morrison presented the award certificates. The evening was rounded off by the guest speaker and Kingsley parent, Jo Cameron, who recounted her own volunteer work experiences to stress the invaluable contribution volunteers make to the wellbeing of so many people. Leamington Rotary Club President Barry Andrews, who read the Rotary club’s candidate citations.